This and all covers and logos ©Marvel Characters, Inc. 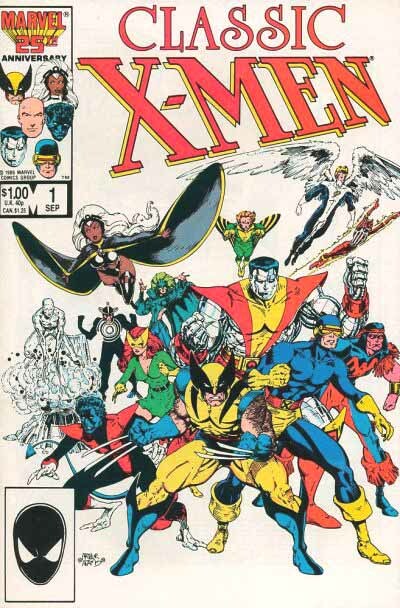 I was pleased to read your comments on the Classic X-Men and Excalibur logos. Those were two of my earliest logos. I believe Classic might have been only the third one I had ever done (the immortal “Wally the Wizard” and “Comet Man” being the first two). Many thanks go to Jim Novak, who was production manager at the time, for believing in my ability and sending the editors my way for those two. 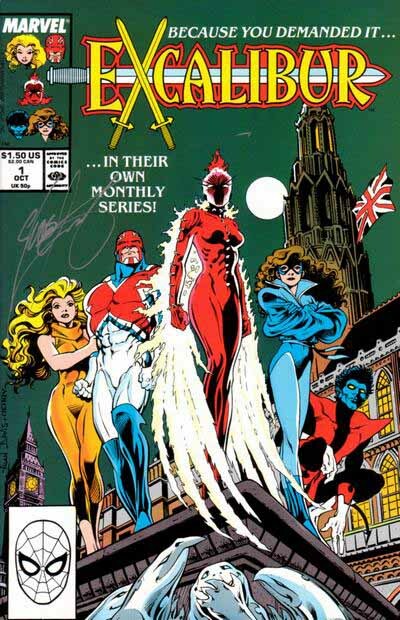 It was a great thrill to be able to work on some X-logos so early in my career. I agree with your comment about continuing the outline around the swords on Excalibur. Not sure why I didn’t, but I must’ve had what I thought was a good reason at the time. Thanks, Ken! Always glad to give logo credit when possible, and you’ve solved two mysteries for me. I also heard from Alan Davis this week, who I had guessed was the designer of this one, but of course he told me he was not. Now we all know. This entry was posted in Logo Studies on October 19, 2007 by Todd. Hi Todd – question for you on Jim Novak during this period. Would he ever letter a book or page separate from the page itself? Someone in an OA group I am in has a page from Power Man and Iron Fist from the mid-late 80s and the issue was lettered by Jim but does not have any lettering on the page. Seems unusual based on other pages from that series from the same period. Trying to figure out the process history. A page without lettering pre-digital was most likely lettered on a vellum overlay, which would normally have been combined with the art either by making a photostat and pasting the lettering on the art or by making a clear acetate copy and painting the backs of the lettering white, then photographing it over the art. Sounds like that was done and it has become separated from the page.